Today June 24, 2016 has proved to be a very interesting day. 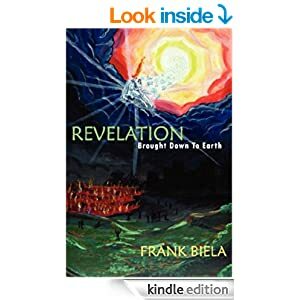 More prophetic Scripture has been fulfilled today from the book of Daniel in the Old Testament and the book of Revelation in the New Testament. Revelation 17:9 – 13 “And here is the mind which has wisdom. The seven heads are seven mountains, on which the woman sets. And there are seven kings: five are fallen, and one is, and the other is not yet come; and when he comes he must continue a short space. And the beast that was, and is not, even he is the eighth, and is of the seventh, and goes into perdition. And the 10 horns which thou saw are 10 kings, which have received no kingdom as yet; but receive power is Kings one hour with the beast. These have one mind, and shall give their power and strength onto the beast. The above verses refer to 10 horns which symbolize the 10 nations which made up the old Roman Empire. The old Roman Empire is referred to here as the terrible beast. Today’s European common market is made up of the old Roman Empire and even though there are more than 10 countries involved in today’s European common market these countries put together make up the old Roman Empire refer to in Daniel and Revelation. As it states in the above verse of Daniel 7:7&8, three of these nations from the old Roman Empire will drop out of the European common community and will eventually be devoured by the beast. Today we witness the first of the three nations to drop out of the European common community Great Britain. Who will be next? We don’t know yet but Scripture guarantees that two more nations of the old Roman Empire, which could be several more nations from the ECC. will drop out causing chaos throughout the world as we witnessed today when the stock markets crashed all over the world. As we approached the ending of being in the “times of sorrow” as Jesus talked about in Matthew 24: 6 – 12 “And you shall hear of wars and rumors of wars: see that you’re not troubled for all these things must come to pass, but the end is not yet. For nation shall rise against nation, and kingdom against kingdom: and there shall be famine, and pestilence, and earthquakes in diverse places. All these are the beginning of sorrows. Then they will deliver you up to be afflicted, and shall kill you: and you shall be hated of all nations for My namesake. And then shall many be offended, and shall betray one another, and shall hate one another. And many false prophets shall rise, and shall deceive many. And because iniquity shall abound, the love of many shall wax cold. But he that shall endure unto the end, the same will be saved.”And are approaching nearer and nearer to the beginning of the great tribulation we see other signs taking place in the book of Revelation as warnings to us to be prepared for the wrath of God which is about to come. Revelation 8:7 “The first Angel sounded, and there followed hail and fire mingled with blood, and they were cast upon the earth: and one third of all the trees were burned up, and all green grass was burned up.” As we see record-breaking temperatures going on in the West and Midwest we also see hundreds of thousands of acres of trees, forest, and grasslands being destroyed not to mention hundreds of homes. Record-breaking floods, hurricanes, and tornadoes are taking place all over not only in the United States but all over the world, just as the Bible said would happen as we near the end times. As the elections draw near in the United States make no mistake that the turmoil and unrest is going to get more and more severe. We will see more financial markets collapsed throughout the world and the repercussions will be devastating. Make no mistake about it; THIS IS JUST THE BEGINNING! ← THE TRUTH THE WHOLE TRUTH AND NOTHING BUT THE TRUTH! Reblogged this on Revelation Brought Down to Earth.